Additionally, if the water heater is up to code, the Thermal Expansion tank which us usually blue or tan, can leak or become faulty. This would need to be replaced if you see a leak coming from a 1 gallon sized tank on top of the water heater connected to the piping since you typically can't repair a tank that is leaking. 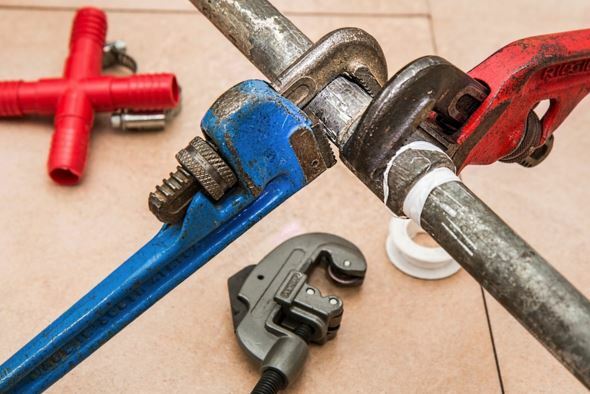 Another potential problem with a water heater leaking could be the temperature and pressure relief valve that is usually connected to a pipe coming from the side towards the top of the water heater. This valve relieves the pressure inside the tank when the county water pressure is too high for the appliance. If you see this leaking, make sure you call a licensed plumber to come and diagnose since it could be a potentially problem. Preferrably, call Advanced Plumbing Service since we are experts in the field of water heaters. If you see a leak coming from the bottom of the water heater, that is generally a water heater gone bad and you need to get it replaced as soon as possible. Especially if you have flooring that you don't want to be ruined wihin the next few days. Water and hardwood floors don't get along together, so you want to make that a priority to get serviced or replaced. Tankless Water Heater Repair, Service and Replacement. We work on all tankless water heaters in the Loganville and Gwinnett Area as well and have lots of experience servicing and replacing these. The tankless water heater was constructed to be more efficient than the traditional hot water heater. Since it doesn't store hot water that has to be re-heated regularly to stay hot, the tankless water heater system uses less resources on a consistent basis and therefore is overall more energy efficient. If you want to get a quote on a tankless water heater, let us know and we will propose what it would take to install one into your home or business. Call us or fill out the form to the right and we will contact you!